Club Skipper Tom Greaves presented the trophies to the winners at last weeks presentation evening. Awards are given out for Most Improved Player, Player of the Year, Clubman and Best Improved Young Player. A fun evening was had by all. You can see who won what here. If you have a son or daughter who would like to join then please contact us here. 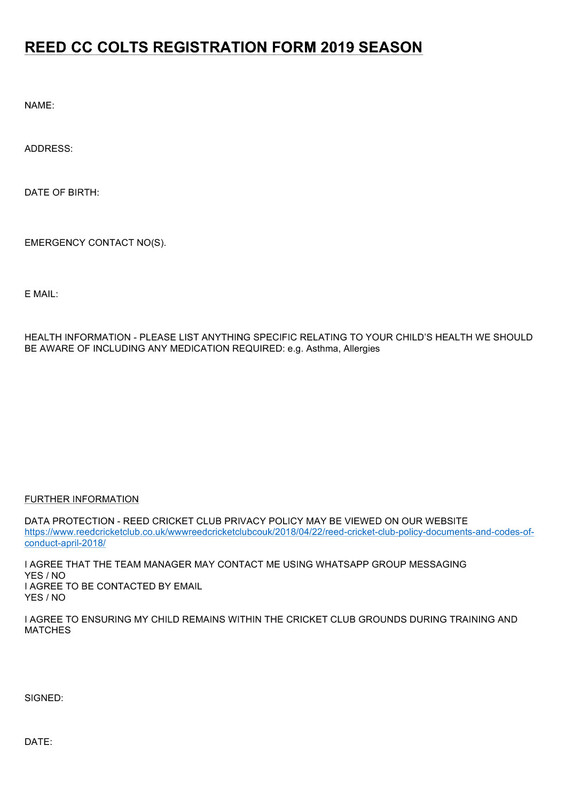 Reed CC Colts Presentation Evening report. 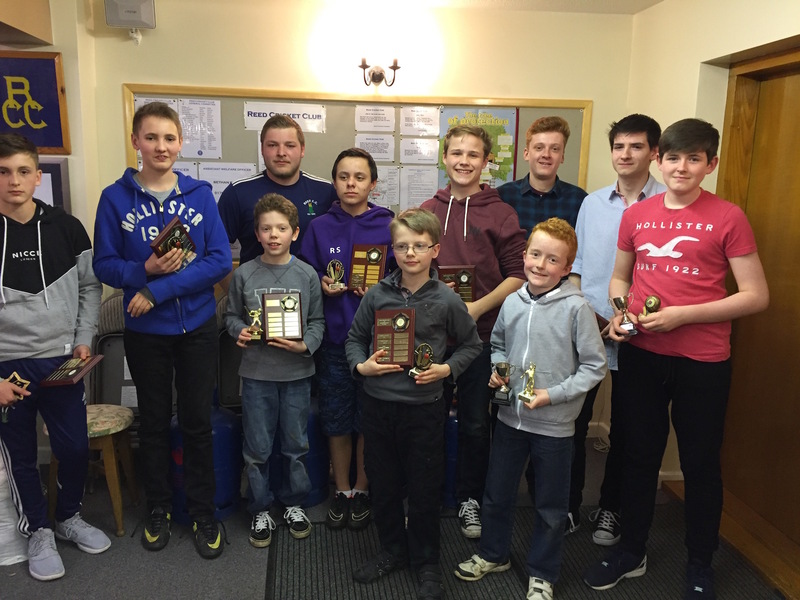 Last Thursday Reed CC held its Colts presentation evening at the clubhouse. Reports of last season’s games were given by the team managers and awards given to the outstanding players. At the Under 15 age group a very young team were, nonetheless, competitive in all the matches and there were a number of noteworthy individual performances. The Player of the year was awarded to Tom Nussey for consistently impressive performances with both bat and ball (185 runs at an average of 26 and 5 wickets at 19). The most improved player was Brendan Salter, the most improved young player Ed Kershaw and the clubman award went to Toby Emes. For the Under 13s there were also creditable performances in all the matches. Freddie Ancliffe was awarded Player of the year for his solid all-round contribution while Richard Stuart was the most improved player and Stephen Bishop the Clubman. At Under 11 the team, made up mostly of Under 9s and even some Under 8s and ably captained by Ross Gardner won 4 out of their 8 games against significantly older opposition. Player of the year was Sam Osborne who averaged 66 with the bat and took 10 wickets with the ball at an average of 7. 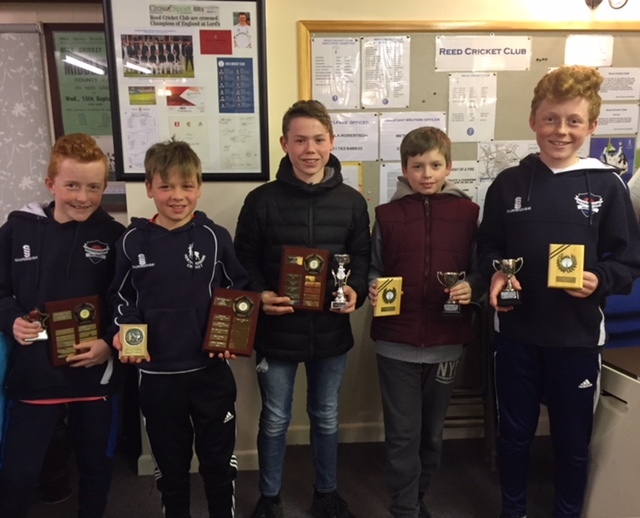 Matthew Liebenberg was the most improved player taking 5 wickets at 13, Adam Gardner the most improved young player, 10 wickets at 12 and Charlie Walters the Clubman who performed well with both bat and ball (9 wickets at an average of 12) and was outstanding in the field. This year Reed are running teams at U11, U12 and U15 and would encourage anyone, (girls and boys), interested in playing to come along to the coaching sessions, run by ECB qualified coaches. 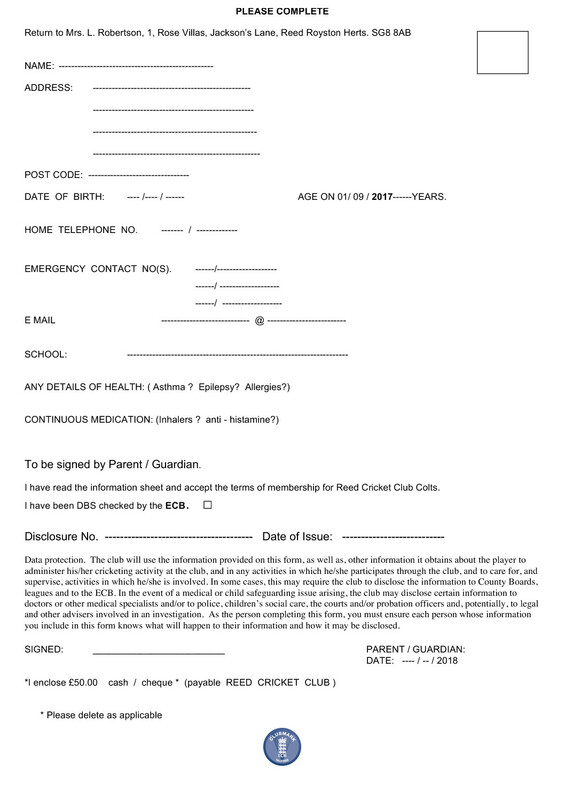 These are held on Sunday mornings 10am to 12 mid-day for the U11s and U12s and Friday nights 6pm to 8pm for the U15s. The first sessions are Sunday 24th April and Friday 22nd April respectively. The ground has great facilities and is one of the most picturesque in the whole county. It can be found just off the A10 opposite the Silver Ball Cafe and is about 5 minutes drive from Royston and 10 minutes from Buntingford.